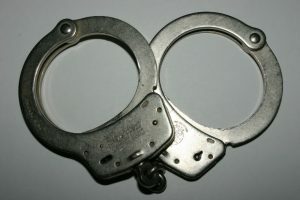 If you are arrested on suspicion of drunk driving in South Florida, there are certain things you can do to help your situation, and there are certain things you should never do. Before we get into the specifics, the first thing is you should always be polite and respectful to the investigating or arresting officers. This does not mean you must agree to do everything they ask of you, but you should let your DUI defense lawyer do the fighting for you at a more appropriate time. One of the issues is that you often start off in a less than ideal position following being pulled over or the officer or trooper is approaching your vehicle following a suspected drunk driving traffic accident. One recent example of this can be seen when a Florida man was arrested for allegedly crashing into a “Don’t Drink and Drive” police cruiser while under the influence of alcohol, as discussed in a recent article from the Palm Beach Post.In case you haven’t seen one, various police departments in Florida get grants as part of their DUI enforcement programs to dedicate one or more police cruisers to the DUI program and emblazon them with slogans such as this one that said don’t drink and drive. The allegations are that this 63-year-old man crashed his car into the parked DUI cruiser as it was parked with all of its emergency lights activated. He allegedly told arresting officers that he did not know what he was doing and had been drinking but had not eaten anything during the day. However, it should be noted that he is presumed innocent unless and until he is found guilty beyond a reasonable doubt. These three tests are difficult to do, and the officer does not tell the suspect how the test is being graded. What the officer doesn’t tell you is that you don’t have to take the tests and he or she can’t make you take them. They can note on the police report that you refused to take the SFSTs, but they won’t have evidence of you failing, and if you take the test, you will probably fail due to the nature of the test and the way it is administered. Why give them evidence to use against you? The officer will ask you if you have been driving. This seems like a stupid question with an obvious answer, but is a crucial element of DUI investigation as our Miami Dade DUI defense attorneys can explain. If you admit to driving after drunk, you will be giving them evidence to use against you. They will also ask you if you have had anything thing to drink. Many people say they had a couple of drinks. This is also not the best idea. In fact, you don’t have answer any of these questions. However, this doesn’t mean denying them either. You simply say you are not answering any questions or taking any tests without your attorney present, remembering to be polite. This will still result in you being arrested for DUI in most cases, but it will be much harder to convict you if you haven’t given the prosecutors any evidence to introduce at trial.